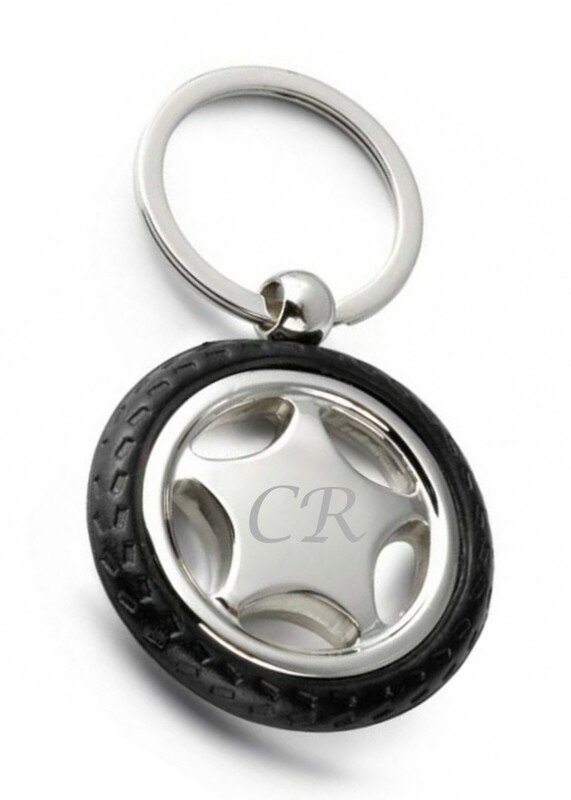 Personalised Engraved Stainless Steel Car Motorsport Tyre Keyring. The engraving area is limited, you can fit 2-3 lines of text, 6-8 letters maximum. All your engraving goes on the front of the keyring. A great weighted keyring, weighing 60g. A perfect unique gift that no one else will have! This unique gift measures 115 x 55 x 20 mm. Length includes the keychain. Perfect for any Occasion including Birthdays, Christmas, Christenings, Weddings, Anniversaries & Engagements.... it's endless! Please select your font preference by using the drop down list below and detail your text in the Customise box.